It’s confusing, I know. Everywhere you look, people are talking about how to grow your business online. They use fancy words like SEO and Conversions or Lead Capture and Domain Authority. With all the jargon floating around, how can you even begin to get started? 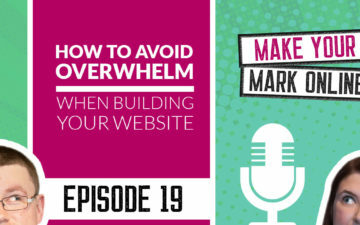 It’s not enough that you have to manage your website yourself, now you have to have a degree in marketing to work out what people are talking about. That is exactly why I wrote this blog post; I wanted to break down all the different words and acronyms you might come across and explain what they all mean. You may have deleted a page. The difference between the two: A 301 is a permanent redirect and 302 a temporary redirect. A 404 page is the error page that appears on your website if someone mistypes a URL or tries to visit an old page that no longer exists. They will reach the 404 page. The standard 404 error page is usually not very attractive, so it’s a good idea to amend it if you can. Alt text is short for alternative text. It can be used to describe your images as you add them to your website. Search engines will use your Alt text to determine what is depicted in the image so they can list it in search results. Anchor text is the text you use within a hyperlink. For instance, the anchor text used in this sentence is “web design”, and it links to the web design page on our website. Search engines take note of the word/phrase within the anchor text when ranking a website in search results. AMP stands for Accelerated Mobile Pages. It’s one step up from having a responsive website. A website that uses AMP will load instantly, creating a better experience for your mobile visitors. It will get rid of any unnecessary clutter that slows down the website. It’s still early days, and in my opinion, it’s not necessary right now for you to use AMP. Adwords is Google’s advertising platform. It is a pay per click service that will display your advert in the paid sections of the search engine results page. Backlinks or inbound links occur when another website includes a hyperlink back to your website. Generally speaking, the more high quality backlinks you have, the more credible you are to search engines. The term “back-end” refers to the back office of your website. This is the login dashboard area where you can make changes to your website. A browser is a tool used to access the internet. Popular browsers include Google Chrome, Firefox and Safari. The term “black-hat” refers to a type of SEO (search engine optimisation). Black hat tactics are used to manipulate search engines into believing a website is more credible than it actually is. This includes buying lots of backlinks, spam comments, keyword stuffing. Generally speaking, black hat techniques work well for a very short period of time but then you risk having your website penalised. A CMS or content management system is a simple editing system that allows you to make changes to your website easily. Most people will be able to make changes without any technical web design background. As long as you learn the basics of the framework, you’ll be able to add, edit and delete text and images on your website. Website “Content” refers to all information that’s visible on your website such as blog posts, regular pages, images and videos. Generally speaking, websites that have more valuable content will perform better in search results. It will also help your potential prospect to gather more information before they get in touch. CM or content marketing is the process of using your own content to attract more interested customers. This could involve blogging, recording helpful videos and spreading the word with social media. This is usually cheaper than paid advertising and has proven to be a lot more successful than traditional forms of advertising. CSS stands for Custom Style Sheet. It allows you to take your basic HTML website and add some styling. Everything from colours, font styles and font sizes right through to the width of your website, the size of your header and footer and everything else in between. Without CSS every website would look exactly the same. A website conversion means you have taken your website visitor and ”converted” them into an enquiry or sale. You have taken them from a browser into a genuine opportunity. CRO stands for Conversion Rate Optimisation. This is the process of fine-tuning the style and layout of your pages in the hopes of increasing the number of enquiries and sales. CAPTCHA is short for Completely Automated Public Turing test to tell Computers and Humans Apart. That’s a mouthful. Essentially, it’s a tool that’s used to prevent spam messages. You can add it to the comments section of your blog posts or at the bottom of your contact forms. It will validate that the user is human. A domain name is essentially the name of your website. It’s the address for anyone looking to visit your website. You can buy as many domain names as you like but you would normally only use one per website. DA stands for Domain Authority, and it’s calculated by MOZ (an SEO software company). It measures your domain and scores it out of 100 based on a number of factors. A brand new website will score 1/100 and Facebook.com scores 100/100. DA is calculated based on the number of backlinks you have, the quality of those backlinks, your social media activity and a few other metrics. Duplicate content refers to website content that is the same (or very similar) to another piece of content on the internet. This can happen by mistake on your own website or content can be stolen and placed on someone else’s website. Either way search engines may penalise the websites in question. You can check if you have duplicate content issues using my free SEO tool. Every single link on the internet will either be classed as a do-follow link or nofollow link. Dofollow means that the website who created the link wants search engines to take note and count the link as a “valuable resource”. This is generally done by default and you don’t have to do anything else. DNS is short for Domain Name Servers. Without getting too technical, DNS will translate your domain name (which is what humans see) into an IP Address (which is what computers see). Each website has it’s own identity and by checking the DNS you can find out more information about the domain and hosting. Building backlinks is an important part of SEO. However, not all links are high quality. If you do have a number of bad links, Google will allow you to remove or DISAVOW them using Google Search Console. I use an editorial calendar to plan my blog posts. It’s like any other calendar but it allows me to see the status of a piece of content (to-do, draft, pending review and scheduled). It’s a great way for me to stay ahead of the content I’m planning to produce. A Favicon is the small icon that appears in the tab on any given website. It usually measures 16×16 pixels, and you can create your own and add it to your website. Each image that you upload to your website will have its own file name. It will be whatever it was saved as. E.g. image3215.jpg. Google recommend that you use a descriptive file name e.g. black-cat.jpg. That way you have more chance of search engines listing your images in search results. GeoTaggging allows you to tag images and videos with a specific geographical location. This is useful for anyone wanting to rank highly for a location e.g. A restaurant in Manchester. Google are more likely to list images of your business for these search queries. The light of my life. When Google says jump, I say, how high? GA or Google Analytics is the go-to visitor tracking tool for most website owners. It’s free and provides a lot of information about your visitors e.g. number of visitors, how they found your website and your most popular pages. You can add your website to Google Analytics here. Previously named Webmaster Tools, Search Console is the best way to check on the health of your website. Providing you add your website sitemap to your search console account, you’ll be able to check for any broken links, crawl errors and check for new backlinks. H tags are headings on a page. You can label certain text as headings to show search engines that the content is important. Pages headings and subheadings are also important for your users, as it breaks up the content making it more digestible. H1 is usually the main heading on a page and H2 to H6 tags are used for the sub-headings. Every website on the internet needs hosting. It’s the only way people will be able to access your website. Think of hosting as like renting space on the internet. Websites that only use HTML look very basic and it’s very rare that this will be the only method used to create a website. If you want to add any kind of style or theme you will need to use some CSS. The word indexed refers to your website being listed in search results. New websites usually take a few days to be indexed by search results, and this also goes for new pages that you add. An infographic is an image which is usually made up of statistics and graphs. It’s a more interesting way to take bland research and make it more visually appealing. An inbound link is a hyperlink from someone else’s website to yours. You can check how many inbound links you have using various online tools such as Majestic SEO. An internal link is a hyperlink on a website that points to another page on that SAME website. For instance, this link goes to my about page so it’s classed as an internal link. Jetpack is an all-in-one WordPress plugin that allows you to add additional features to your website easily. It’s a great tool for beginners who want to quickly add contact forms, extra sidebars and related blog posts. Keywords are words/phrases that you are trying to rank for in search engines. You might have a number of keywords you would like to be on the first page for. It’s a good idea to collect these and include these phrases throughout your website. E.g. Hotels Manchester, Manchester hotels. Keyword research is the process of finding better keywords to target. You can use free and/or paid tools to search for popular phrases people use online. You can accumulate a list of keywords and then plan how you intend to include these topics on your website. Keyword stuffing is classed as a blackhat method. It’s trying to manipulate Google by including too many of the same words. It’s very easy for Google to spot and it makes for a terrible user experience. When your write a sentence like this: “We do web design for people looking for web design services. Check out our web design experience here…” It does not read well. This happens a lot and my advice is to keep things natural and avoid this practice. A logo is your company identity. It can be created using a combination of text, icons, images or all of the above. It’s usually saved using the following file type .jpg, .jpeg, png. A lead is a sales opportunity for your company. It might be a phone call, an email enquiry or a call back request. A lead capture is how your website captures your customer’s data. This might be a form on your website that allows people to fill it in so that you can speak with the prospective customer. A lead magnet is used to increase the chances of gaining leads through your website. This could be a free gift in exchange for your customer’s contact information e.g. a free ebook, a free video course or a free consultation, which are all common forms of lead magnets. Long Tail keywords are longer keywords that you’re trying to rank highly for e.g. “WordPress web designers in Manchester” as opposed to shorter keywords such as “web design”. Yes, the long tail version is not searched for as frequently, BUT it’s a lot easier to rank higher because it’s not as competitive. Metadata is the data for your website. It’s used by search engines to find out what your website is about. You might not be able to see this information from looking at your website but search engines can so it’s important you optimise it. Each page on your website can have its own meta description. You can use it to describe the content on that page using 155 characters. This snippet is displayed in search results in grey beneath your website URL. Although search engines do not use this text as a ranking factor, it is still extremely important. It is best practice to have a unique meta description for every page. Adding Meta Keywords to your website is no longer effective. It used to be a great way to optimise your pages by adding a list of keywords that you wanted to rank for. I haven’t used them in years and you don’t have to either. There are some occasions where a website may want to class a link as “nofollow”. By creating a nofollow link, this means you are telling search engines to not pay attention to it. There are many reasons you might want to do this e.g. paid links have to be nofollow. Links within blog comments are usually nofollow to prevent them from being spammed. On-page SEO is the process of editing the different elements on your website to make it more appealing to search engines. Everything from your title tags to alt tags can be optimised for a more search engine friendly website. 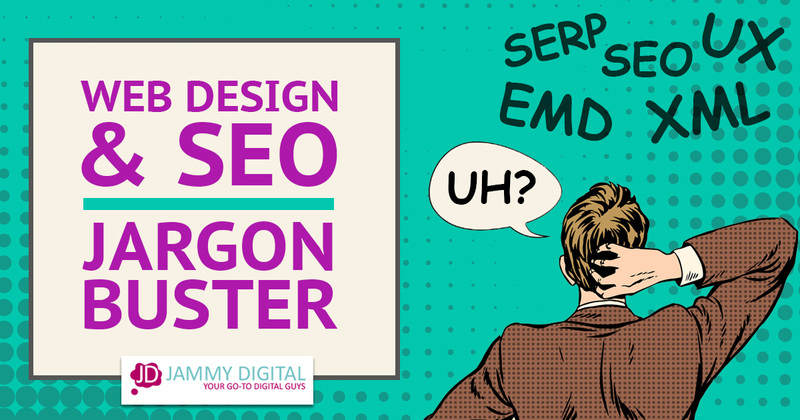 Off-page SEO can also be described as online PR. It’s the process of building a strong reputation with search engines using guest posts, social media and business directory listings. An opt-in is when someone signs up to your email newsletter or a free giveaway. They “opt-in” to receive some kind of information. This is sometimes called a conversion. Plugins are like add-ons for your website. If you want a new image gallery or an email signup form you don’t have to build it from scratch or pay a developer. You can simply find a plugin. If you’re using WordPress, then you can search the plugin library and install it yourself in seconds. PPC stands for Pay Per Click which is a form of online advertising. It’s different from traditional advertising such as radio ads and billboards because PPC only charges you if someone physically clicks on your advert. How quickly your website loads could impact your search engine rankings. Test your speed using GT Metrix. Providing that your website loads in under 5 seconds you’ll be ok.
Having a responsive website means your website takes the shape on any device, no matter how big or small it is. Having a responsive website is very important, and Google will penalise you if your website is not classed as mobile friendly/responsive. SEO stands for Search Engine Optimisation. It’s the process of increasing the organic rankings of a website in search results. Google use over 200 different rankings factors when deciding how high you rank in search engines. An SEO agency would optimise as many of these ranking factors as possible to give you the best chance of ranking highly. SEO can be split into two categories: On-page SEO and Off-page SEO. SERP is an abbreviation for Search Engine Results Page. This is the page that appears after someone has typed in a phrase in the search field using Google, Yahoo and Bing. Title tags or page titles are an extremely important ranking factor. It’s vital that every page on your website has a title tag so that search engines know what that page is about. You have around 55 characters to use and it’s always best to include your main target keywords within the title. You can also see the page titles in search results. It appears in blue above the URL. Themes or templates allow you to create a good-looking website quickly. You can install a free or paid template to make your website without the need of a web developer. Websites like ThemeForest allow you to install templates for less than £100. UX stands for user experience, and it’s used to describe the experience a website visitor has navigating through your website. 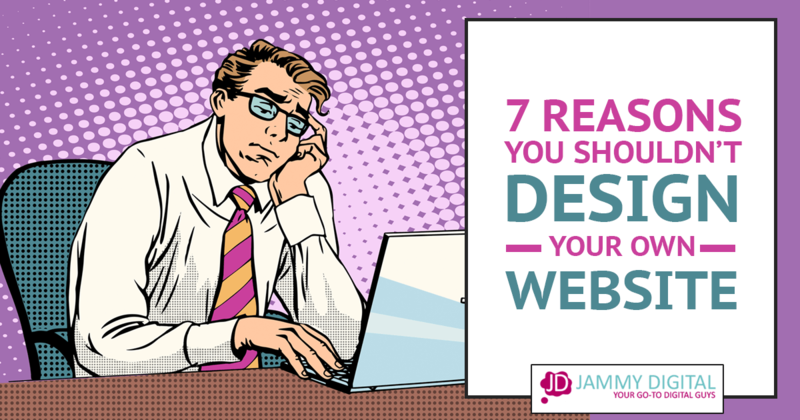 There are lots of web developers that don’t consider users when designing their websites and this could have an impact on your enquiries and sales. You may have heard of the term “finding your voice” when discussing website content. It means finding a style that suits you and writing in a way so that people would recognise you. It takes practice to write like this, but when you do find your voice, people will generally engage more. WordPress (.org) is the most widely used content management system. It’s a free tool that you can add to your website that allows you to make changes easily without the need of a web developer. The .COM version of WordPress is completely different from the .ORG. It’s confusing I know. It’s far less popular and has far more restrictions. It’s quite handy if you want a simple personal blog but not so useful if you want a high-quality business website. White Hat SEO is classed as the ethical method to increasing your organic rankings in search engines. It involves following the rules that Google set, such as earning backlinks with valuable content and avoiding any unethical tactics that may harm your rankings. WYSIWYG is short for What You See Is What You Get. Most content management systems come with an easy to use editing system that allows you to make changes using a WYSIWYG editor as you can see below. It allows you to format your page or post with ease. A sitemap is a list of web pages that you have on your website, and an XML sitemap is a file containing the list. You can download your XML sitemap and give it to Google so they can list your pages in search results. Yoast is one of the most popular WordPress plugins. It allows you to optimise your website easily to make it search engine friendly. It’s free and fairly simple to use. Click here to find out more information about Yoast. A zip file is an online folder that holds large documents. It has been compressed so that it doesn’t take up much memory whilst being downloaded or sent via email. There you have it. 80+ words and phrases that you’re likely to come across at some point or another. At least now, you’ll know what they mean. I will keep adding jargon to this list so be sure to bookmark this page and come back to it as and when you need it. Have I missed anything out? I’m sure I have. Feel free to leave a comment below, and I’ll add it to the list and let you know once it’s done. Actually, favicons need to come in multiple sizes nowadays. Here’s a link: https://sympli.io/blog/2017/02/15/heres-everything-you-need-to-know-about-favicons-in-2017/. Haha. Don’t worry, ThemeForest are not my competition!